We look forward to seeing you Saturday, March 2 at the Prescott Benefit at Stratford on the Park, 7 p.m.-11 p.m.
For the first time ever – Saturday’s event is SOLD OUT! We are not accepting any more event ticket sales due to the venue size. No tickets will be sold at the door. Not attending Saturday night? 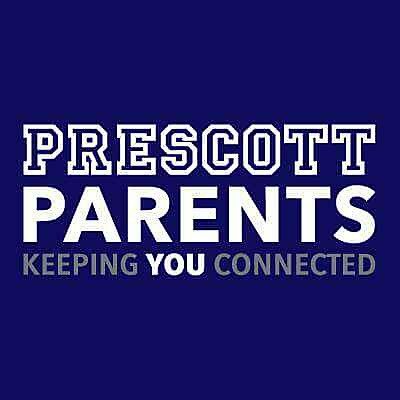 You can still support Prescott. Make a donation or participate in our online silent auction which begins Friday afternoon at prescott19.givesmart.com. Expect to have a great night out from 7-11 pm at Stratford on The Park (2300 N. Lincoln Park W), socializing with teachers, staff, parents and supporters of Prescott school—while raising funds to benefit our children’s education. Attendees will receive 2 drink tickets, with a cash bar after drink tickets. There will be heavy passed appetizers, followed by a buffet station and dessert. There will be music and entertainment, a silent auction with bidding opportunities on fantastic items donated by local businesses, one-of-a-kind teachers’ experiences, teacher wish tree, and a live raffle drawing. Bring your smartphone to participate in the online auction, and bring cash to pay for raffle tickets, valet parking ($14) and tip, and the cash bar. Dress code is smart casual. Online bidding for silent auction items is now LIVE, beginning today Friday and concluding Saturday night. Set up your GiveSmart account at prescott19.givesmart.com to bid on fantastic items such as jewelry and accessories hand chosen by a parent and owner of Lincoln Square’s Embellish; chef’s tables at Gather and Band of Bohemia; Foss and Big Blue kids’ swim lessons; yoga and workout packages; baseball tickets; and one-of-a-kind artwork (including works of art created by professional artists and others created by your children)! Even if you can’t attend the event, you can participate in the online bidding (Teacher Experiences will only be available for bidding at the event). Let friends and family know too. We look forward to celebrating with you on Saturday March 2!